Every year God does incredible things over The Stand Camp, which echoes into the future. 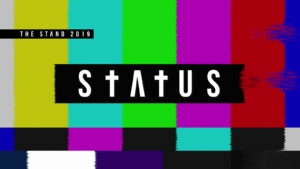 This year The Stand Camp: Status, will be no different. 4 days of building friendships, encountering God and discovering who you are in Him. High schoolers from all over the Western Cape come together to experience and step into all God has for them. The Stand Camp will run from 29 March - 1 April 2019 at Bergkroon in Wellington.